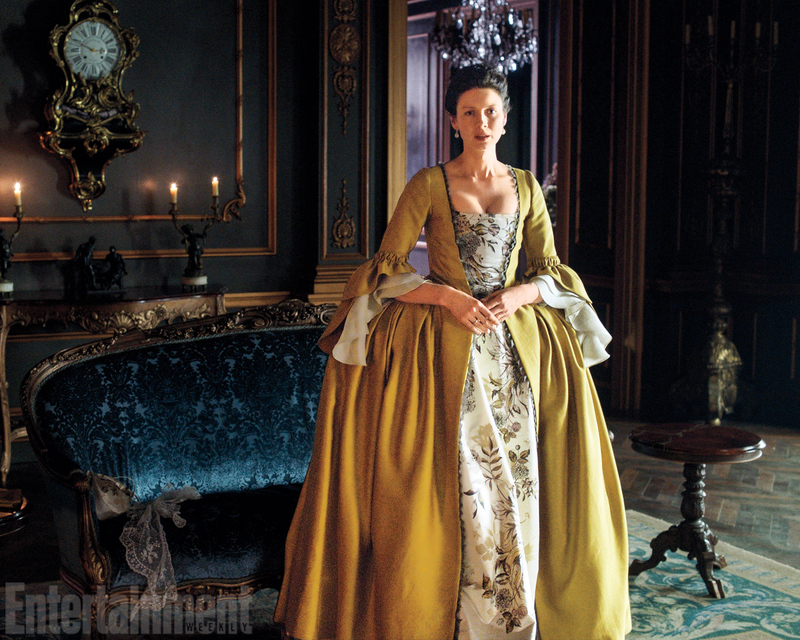 Outlander Season 2 First Look. . HD Wallpaper and background images in the Outlander 2014 TV Series club tagged: photo outlander season 2 claire first look. This Outlander 2014 TV Series photo might contain polonaise, پالونایسی, گاؤن, gown, hoopskirt, crinoline, ہوپسکیرٹ, and کرانولانا.